There are rumors of a Bajaj Pulsar NS250 for 2020. It will take the manufacturer into the 250cc segment. There is no detail yet, but the new bike ought to be better equipped than the 200 line-up. Rumours are running amok that a Bajaj Pulsar NS250 will be launched in India in 2020. If it is true, the development follows the cancellation of the Pulsar NS180. The introduction of a 250cc model will bring Bajaj into the fray currently dominated by the likes of Kawasaki and Yamaha. Suzuki is also slated to introduce their own 250 soon. As with the NS200 and RS200 that are developed based on the KTM 200 Duke and RC 200, the NS250 should also benefit from Bajaj’s joint venture with the Austrian manufacturer. Consequently, the engine dimensions ought to similar, if not identical, to the KTM’s. However, the tuning between the Bajaj and KTM engine may differ. 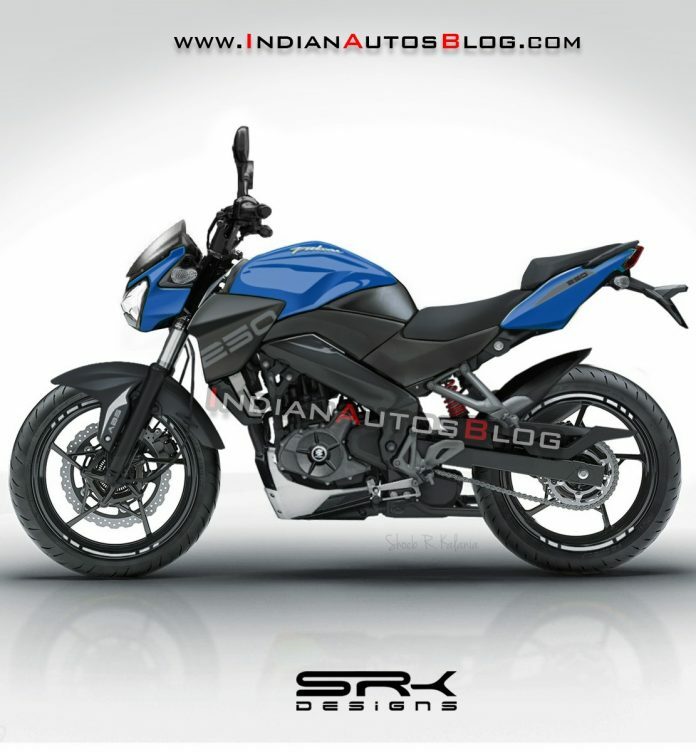 The picture below shows a rendering by SRK Designs and published by Indian Autos Blog. The new 250 should be equipped with a dual-channel ABS ex-factory, if the manufacturer wants to place the bike among the premium brands. Besides, in Europe, all motorcycles 125cc and above are mandated to be equipped with ABS. Doing so also differentiates the 250 from the 200 models. Next article2019 Suzuki Katana has Arrived in Malaysia!